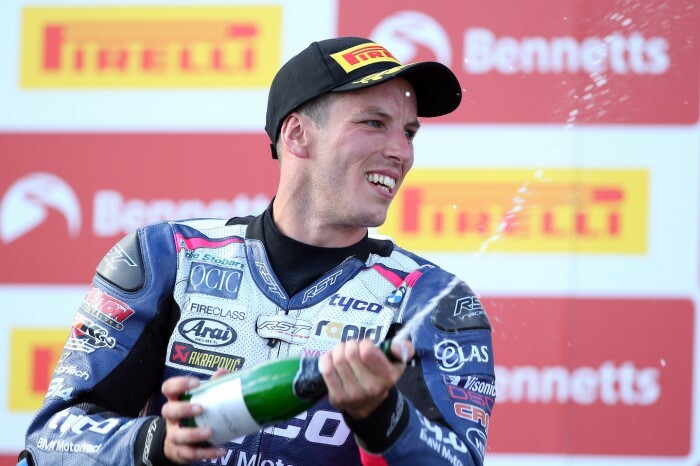 Cool Keith Farmer cruised to a Pirelli National Superstock 1000 double with victory in this morning’s red-flagged second race, giving him the championship lead. 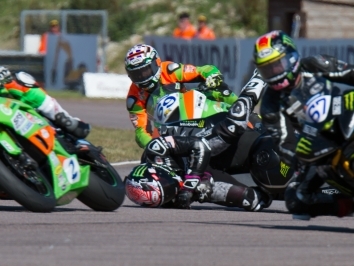 And after early-season points leader Billy McConnell crashed out, the title chase has been cracked wide open. Farmer lined up on pole position, but just like race one he dropped a few places off the start as EHA Racing Aprilia’s Andy Reid hit the front, leading McConnell, Tom Neave and Tyco BMW’s Farmer into Duffus Dip. Tenacious Neave moved up into second on lap two before cutting past Reid just two laps later heading over the start-finish line, but Farmer was back on a charge and sliced through both Reid and Neave to go from third to first in a matter of corners. Reid levered the two front-men aside to lead on lap seven, but Farmer was straight back past at the Chicane, and from there the former champ wasn’t seen again. Farmer set about at a furious pace, quickly stretching a gap of over half a second on Reid, with Boxing Social Stevowaki rider Neave and McConnell in tow. 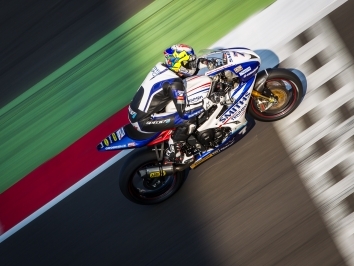 But disaster struck for the series-leading Aussie when he tucked the front of his GSX-R 1000 exiting the Chicane, ending any hopes of a salvaged podium. 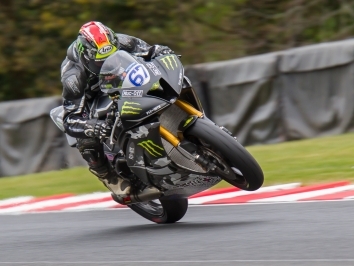 And the drama continued when second-placed Reid suffered a high-side to put paid to his rostrum hunt, prompting red flags and the end of the race as Farmer took the win from Neave and Snetterton race-winner Joe Collier.